Can blockchain end the scourge of telemarketing? Facebook is at little risk of any major backlash. 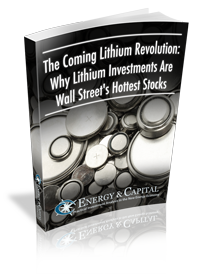 Energy and Capital editor Keith Kohl shows readers one disruptive technology that Wall Street has been desperate to buy for years. Energy and Capital editor Megan Dailey looks into why Coinbase has changed its mind about Bitcoin Cash, and what that means for the future of the most popular cryptocurrencies. Bitcoin: What Is It Good For? Bitcoin is facing a critical juncture. Can we really predict where Bitcoin will go? Energy and Capital editor Megan Dailey explains why Bitcoin is so hard to pin down and how you can cash in no matter where it moves next. Energy and Capital editor Keith Kohl shows readers how they can take advantage of the next generation's currency. In the next few years, developing technology with the Internet of Things will be key to creating true autonomous driving. Could we really have driverless cars by 2021? Another hurdle cleared, but certainly not the last. What will the car market look like in the era of autonomous vehicles? Some researchers estimate the global market for back pain therapy is over $60 Billion a year. Energy and Capital editor Christian DeHaemer talks about stem cell therapy for chronic back pain.